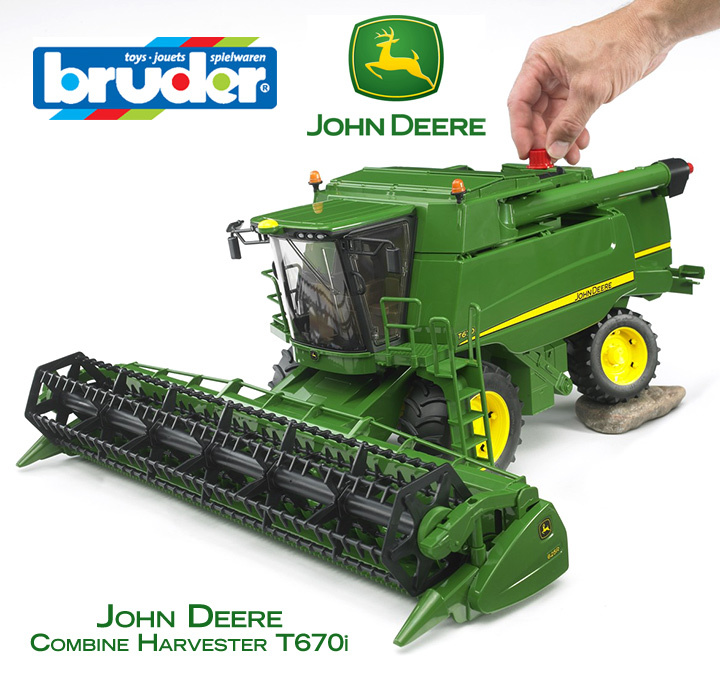 John Deere Combine Harvester features working steering, opening covers on the left and right, radiator fan cover with intregated ladder providing access to the engine compartment. Opening folding covers on the grain tank, cabin with glass pane, opening door and rotating ladder.Cutting head features reel and centring screw powered by friction drive. The grain tank empties via drain tube and manual spindle drive (red handle), spindle detachable for cleaning. Trailer attachment for cutter head.